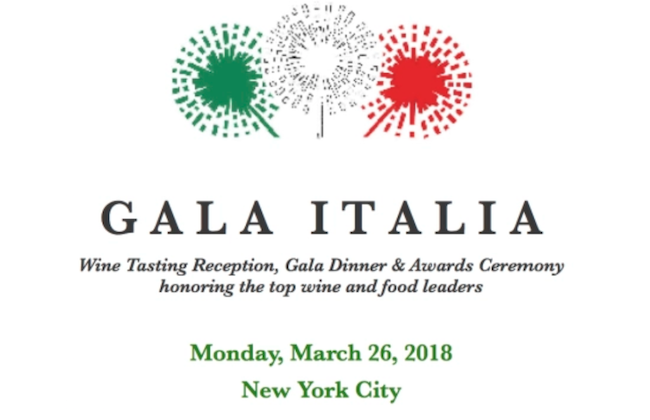 The presence important Italian wine producers will give an even greater appeal to GALA ITALIA—the longest running promotional event for Italian wines in the U.S.—and stimulate the interest of the American wine press. Guests will have the opportunity to taste the same special wines that were donated to the Ambassadors of the Member Nations of the UN Security Council and pair them with a carefully constructed menu that highlights the characteristics of the wines. Expectations continue to grow for the 33rd edition of the GALA ITALIA that will be held on March 26th in the Ballroom of one of the most prestigious hotels in Manhattan, under the patronage of the Italian Ambassador to Washington and with the participation of some of the most prestigious Italian winemakers. 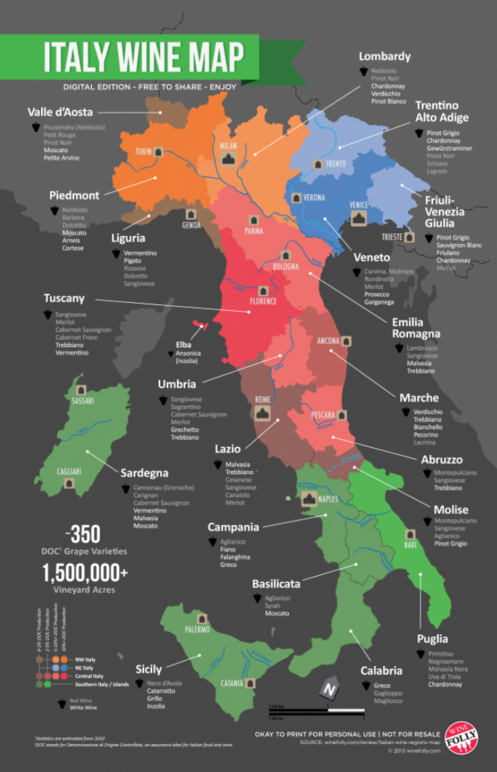 This edition of the GALA ITALIA, which will be dedicated to the great Italian wines were presented to the UN Security Council during the Italian presidency, will see the participation of the following wineries: Antinori, Bertani, Castello di Querceto, Col d’Orcia, Fontanafredda, Lungarotti, Planeta, Rocca delle Macie, Sella & Mosca and Travaglini. The presence of these wine producers will give an even greater appeal to GALA ITALIA—the longest running promotional event for Italian wines in the U.S.—and stimulate the interest of the American wine press. Guests will have the opportunity to taste the same special wines that were donated to the Ambassadors of the Member Nations of the UN Security Council and pair them with a carefully constructed menu that highlights the characteristics of the wines. During the Gala, the participating wineries will receive the "Wine Leader Awards" for their contribution to the image and prestige of high-quality Italian wine across the world. The prestigious and coveted awards of the Italian Wine & Food Institute will be presented by Ambassador Sebastiano Cardi, the Italian Permanent Representative to the United Nations, who had curated, together with the president of the Italian Wine & Food Institute, Lucio Caputo, the prestigious wine presentation to the United Nations Security Council. The 33rd edition of GALA ITALIA will also be the platform to announce to the press the next promotional campaign in favor of Italian wines in the U.S. by the Ministry of Economic Development and ICE - Italian Trade Commission. The campaign, as announced today by the Italian Trade Commissioner, Maurizio Forte, will be conducted in the period 2018 - 2020 with the goal of improving the knowledge of consumers on the rich and diverse variety of Italian wines that both satisfy the palates of the most demanding American consumers and are the perfect companions to the finest gourmet cuisine. As agree with the producers association, the campaign will utilize the most modern communication technologies, and will include seminars and study trips to Italy for the trade and press. 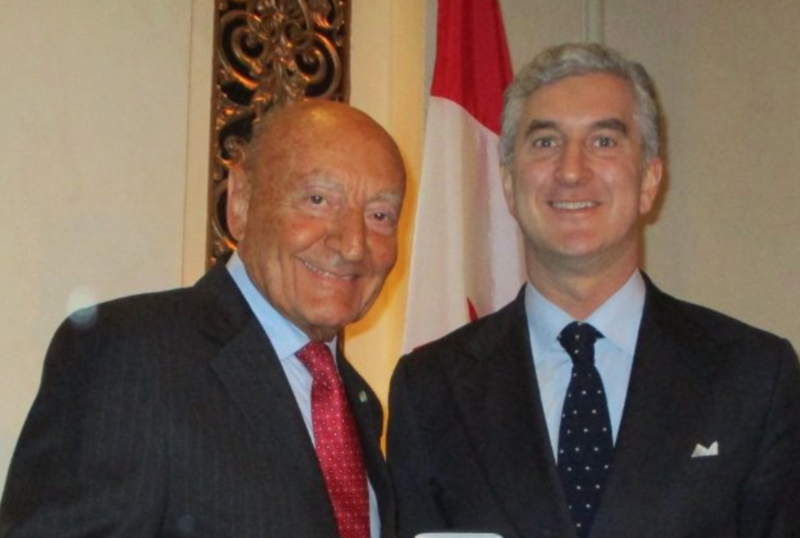 Among the personalities, Italian and American, awarded in the most recent editions of GALA ITALIA are: Piero Antinori, Vittorio Assaf, Jacopo Biondi Santi, Pio Boffa (Pio Cesare), Mary Ewing-Mulligan MW, Florence Fabricant, Fabio Granato, Joshua Greene, Matteo Lunelli (Ferrari), Chiara Lungarotti, Sirio Maccioni, Gualtiero Marchesi, John Mariani, Giovanni Rana, Adam Strum, Lucio Tasca, Marc D. Taub and Kevin Zraly. The GALA ITALIA will open with a traditional Wine Tasting followed by a Gala Dinner that will boast a gourmet Italian menu prepared by a famous chef and designed to pair exceptionally well with the Italian wines, all of which be personally presented by their producers. The presence of some of the Italian women leading the wine industry, including Alessia Antinori, Chiara Lungarotti and Cinzia Travaglini, will be highlighted among the participating producers. This impressive roster will be even further enhanced by the addition of the 2018 awardees. The wines will be listed, with due emphasis, in the elegant program of the Gala. The event, reserved to the press and a very limited number of personalities and VIP, is strictly by invitation only and is already at full capacity. The GALA ITALIA is organized by the Italian Wine & Food Institute with the support of the Ministry of Economic Development and in collaboration with ICE - Italian Trade Commission. 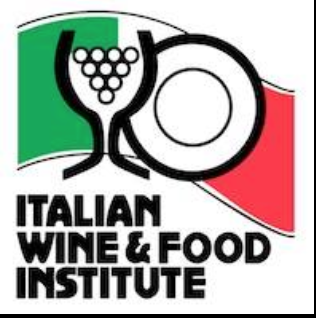 For more information, visit the Italian Wine & Food Institute's website: www.iwﬁnews.com or contact the Institute (Tel. : 212-867-4111 - Email: iwﬁ@aol.com).